Curb appeal is the first impression your home makes from the street. It is the first thing visitors or potential homebuyers see when they visit you. You want to show that your home has been well cared for. 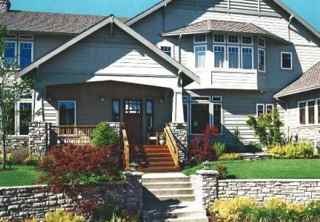 The outside appearance of your home should be neat, eye-catching, and well landscaped. A dull, cold, and snowy winter can decrease your home’s curb appeal but with creative landscaping, planning, and a little bit of work, you can make your home’s winter curb appeal eye-catching even during the coldest season of the year. Complete any repairs required to windows, siding, porches, front decks, fences, handrails on stairs, and garage doors. Trim overgrown trees and bushes. Edge grass around your pathways. Seal and patch your driveway if needed. Repair any damage with driveway filler then coat with a commercial sealer. Replace your roof shingles if they are starting to curl up or coming loose before winter arrives. Repaint the exterior of your home in the fall if needed with an environmentally friendly low or non-VOC (Volatile Organic Compound) paint. 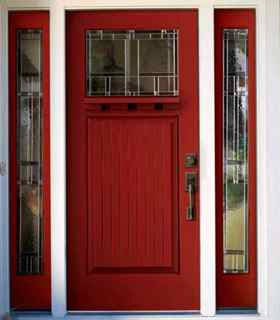 Paint your front door red to draw attention to the entrance of your home and to make it more inviting. A home with a red front door is considered to be good in Feng Shui and will bring good chi energy to your home. Choose a semi-gloss or high-gloss paint finish for your front door and trim. Change the hardware on your front door to freshen up the look of your home. Select the same color scheme and the same materials for the mailbox, house number, outdoor lighting, and front door hardware for a harmonized and coordinated look. Replace your small house numbers with large numbers which add character to your home. Clean out any leaves that have accumulated in your home’s gutters during the fall. Clear your driveway, walkways, and stairs from snow accumulation, ice and leaves to make sure that visitors or potential buyers can make it into your home interior without being injured. Add rubber rocks, stones, gravel, or pine bark to your front yard to provide visual interest and to add color to your home's exterior during the winter months. Keep your lawn clean by raking up leaves and removing any fallen tree branches. 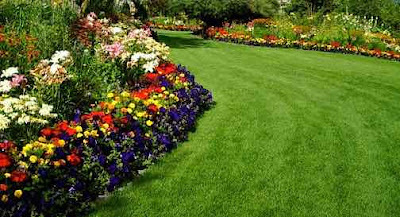 Add fresh dark mulch to your garden beds to enhance the visual color of your gardens during the winter. Highlight your home’s outdoor architectural features at night with clear spotlights. 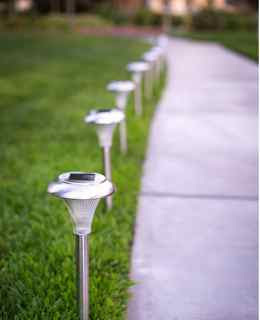 Add solar lights to brighten up your pathways or driveway during the night. Add white lights to evergreen shrubs and small trees to make your home eye catching at night. Add cold-weather plants such as pansies, witch hazel, and red-twig dogwoods in your front yard. Plant shrubs that bloom in cold weather to add color to your front yard such as camellia and winter jasmine. Add holly bushes to your front yard landscape design. They provide great contrast in a snowy landscape. Plant deciduous trees and shrubs. They don’t loose their leaves in the winter and they add life to your home winter curb appeal. 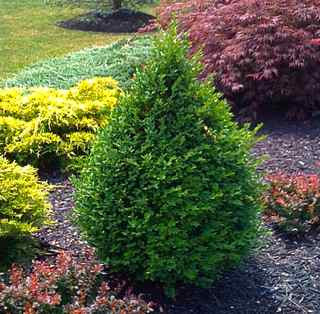 Add evergreen shrubs such as arborvitae, cedars, boxwoods, and junipers. They keep your front yard looking colorful and beautiful throughout the winter months. Add large colorful pots of boxwood evergreen shrubs on your porch, sidewalk, or front deck if you don’t have bushes planted in your front yard. Select plants native to your area so they adapt well to the cold winter and stay lively and colourful. 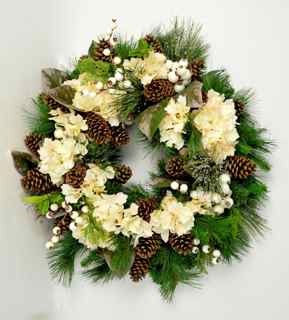 Decorate your front door with a beautiful handmade wreath that compliments your home’s indoor color scheme. Add a colorful ribbon on your evergreen shrubs to make your property look welcoming. Decorate your front door step with a colorful inviting and welcoming mat. Add outdoor furniture to your front porch to make it inviting and attractive. Add colorful accessories such as outdoor cushions and blanket to your outdoor porch furniture. Add outdoor accessories that complement the theme and the style of your outdoor space. 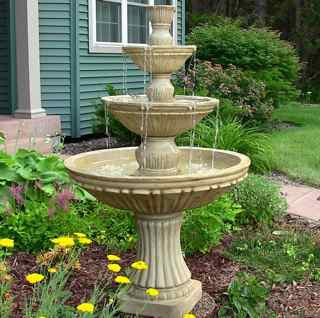 Create a focal point for your front yard such as a garden water fountain, pond, or sculpture. 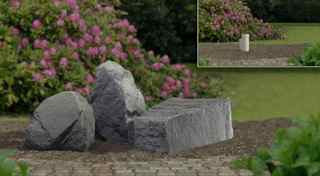 They make good focal points in a landscape design all year round and they add style to your curb appeal. Keep winter toys, shovels, and winter tools stored and out of the way especially during home viewings or an open house. Curb appeal is essential any time of the year when you are trying to sell your home. By following these winter home curb appeal tips and ideas you will give your home an eye-catching and inviting appearance during the winter and will make your home stand out from other homes on sale in your neighborhood.